For some people, waking up in the morning can be a torture and even difficult to do. However, there is a fix to this problem. It is the flying alarm clock. Just like the name, it literally makes users fly out of bed. This article will help you figure out whether or not this modern alarm clock is worth purchasing. 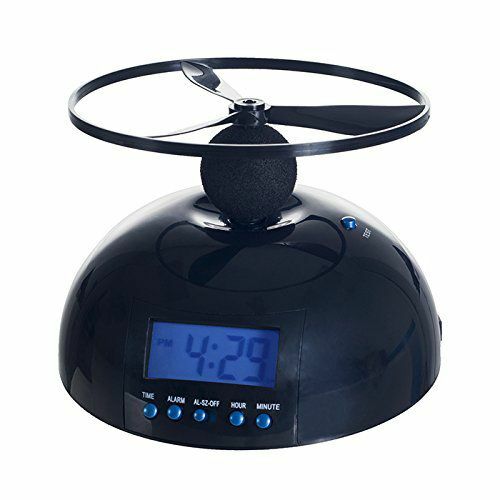 Just like any alarm clock, the flying alarm clock helps over sleepers have trouble waking up or having the habit to hit the snooze button on a regular phone alarm. This tool forces heavy sleepers to wake up as its irritating alarm noise starts ring. Besides, a tiny rotor will fly across the room and the only way to stop the alarm going off is to get the rotor onto the clock. Furthermore, future buyers of this modern technology must also know some other features that it offers. 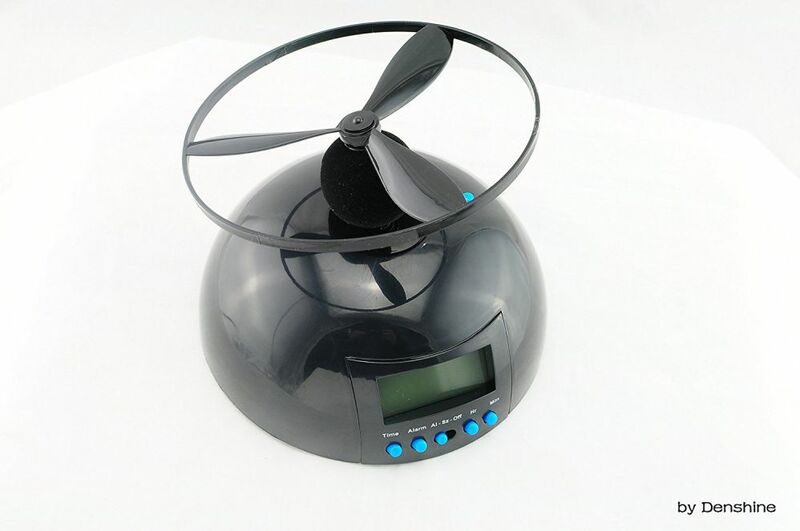 The flying alarm is a digital alarm clock, batteries needed, and compact to use when travelling. In addition, there are also some benefits from this alarm clock that users can gain from. One of the benefits is its targeted use: to wake heavy sleepers. Because of its propeller and its heavy-pitch alarm, heavy sleepers can rest assured to wake up early without being late. 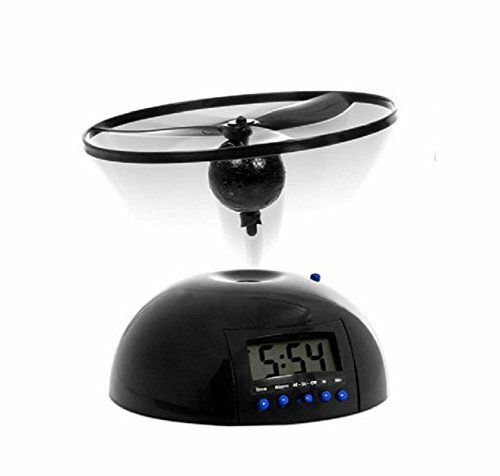 Flying Top Alarm Clock- Make Waking up in the Morning Fun! This flying alarm clock also offers a great clear backlit display feature for the users to easily see in pitch dark. 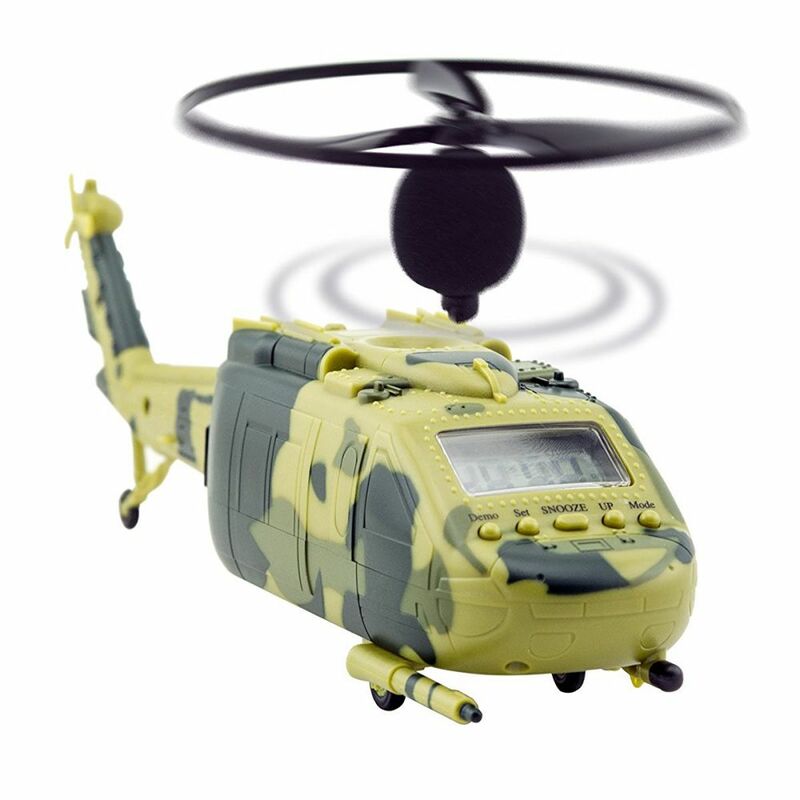 Its wide 1.8-inch screen also helps users to identify the time and to put the propeller back on. The best part of it is how easy and simple it is to use. On the other hand, there are some misses to this modern alarm clock. One of those disadvantages is that users must repeat the time the alarm sets off every single day. This can get repetitive and annoying. Another miss of this product is how it supplies on batteries instead of having to plug it in the electricity plug. Therefore, users must also have a stack of batteries to turn on this alarm clock. Overall, flying alarm clock may be a great solution for those who really need to avoid being late to go to work or school. This is an innovative way for those having trouble waking up. It creates the heaviest alarm sound and a unique way to turn it on. Users will never miss another morning again.